+ benefits. If an officer has prior law enforcement experience, the salary is negotiable. Police Officer and Reserve Officer applicants must currently be a State Certified Law Enforcement Officer or close to graduating from an accredited law enforcement academy or Equivalency of Training (EOT) and eligible to take the state exam. When a position is available, the recruiters 1st step is to review Police Applicant Screening (PASS) files. 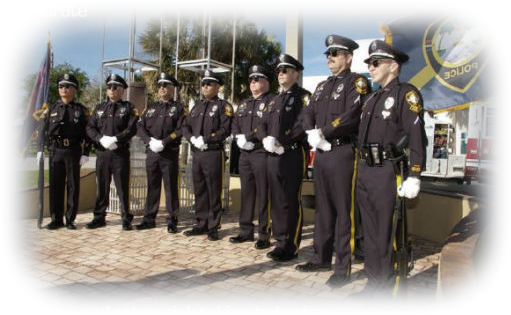 Their requirements can be obtained at www.policestandards.org or 727-864-3822. The 60 college credits may be waived in lieu of military or prior law enforcement experience. The PASS office completes a thorough background investigation, which is required per the Florida Department of Law Enforcement (FDLE) standards. Psychological competencies were also identified. While different agencies look for different skills and abilities, applicants with the above traits may find themselves well suited for a career in policing, particularly in an agency that subscribes to the community policing model. Pay Range: hourly = $16.8327 - $27.1176 and annual = $35,012 - $56,405. The pay range is negotiable if the applicant has prior law enforcement dispatching experience. Before applying, the applicant should evaluate their commitment to considering this position as a long term career. The training program is a time consuming and an expensive investment for the City. When positions are available, the City of Tarpon Springs Human Resources Department (HR) will post the job and requirements on the City website located www.ctsfl.us. Also,HR will advertise in local media such as the Tampa Bay Times and Tampa Tribune. Job postings may also be found on local college websites such as St Petersburg College www.spcollege.edu.  Non-exempt employees are allowed two years' accrual and exempt employees are allowed three years' accrual. Part-time employees' accruals are pro-rated based on scheduled work week. Employees with balances exceeding the allowable limited on October 1st of each year will lose the excess vacation accrual WITHOUT complensation. Sick Leave - All regular Full-time employees are eligible for one (1) day per month after one (1) month of service. Short-Term Protection - Maximum allowable sick leave carried forward from one fiscal year to the next is 528 hours/66 days plus the equivalent of the current one year's accrued sick leave. This allows employees to accumulate sufficient sick leave to protect them for 90 days. Long-Term Disability - Full time Police and general employees will be insured with a 90-day elimination period. The monthly benefit is 60% of salary. LTD is not applicable to Fire Employees. Holidays - All regular Full-time employees are eligible for 11-1/2 paid holidays per year. Insurance - All regular Full-time employees are eligible on the first day of the month following their first 90 days of employment. All additions to/deletions/from any insurance are processed through the Human Resources Department including COBRA administration. FMIT / United Healthcare - The City provides employee coverage without charge for eligible employees. Employees desiring dependent coverage contribute toward optional dependent coverage under City's group plan). No Primary Care Physician (PCP) referral is required for specialists. Standard Dental - The City provides employee coverage (employees may purchase dependent coverage under City's group plan). Standard Life - The City provides $25,000/$50,000 Basic Life/AD&D for employees. Dependent coverage is available. 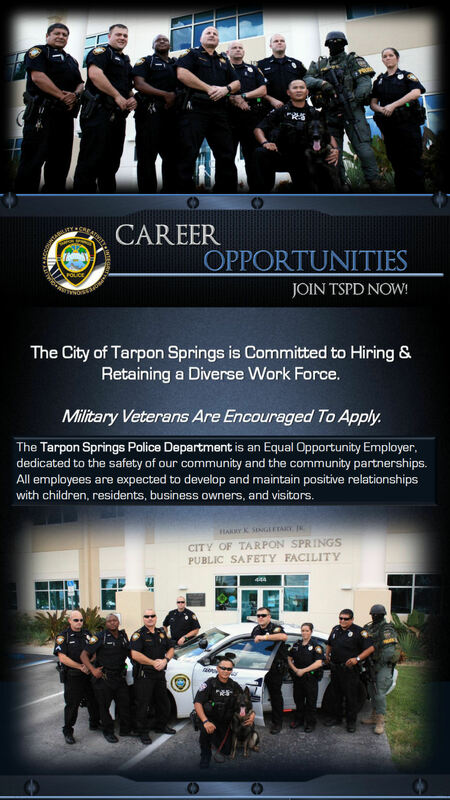 The Tarpon Springs Police Department (TSPD) can offer on the job training to qualified and motivated candidates. 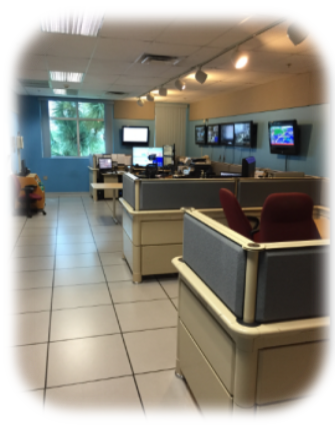 The training is a rigorous 16 weeks or more as needed alongside a senior dispatcher who is a Certified Training Officer (CTO). The training includes, but is not limited to, public relations, calltaking under non-emergency and emergency conditions, radio dispatching, and dispatching via Computer Aided Dispatch (CAD). The applicant would be expected to have the ability to multi-task, strong keyboarding skills (information is entered into computer while on the phone with callers or as received over the radio by officers), the ability to remain calm while dealing with high stress conditions, and the willingness to work various schedules including evening and night shifts, weekends and holidays.